“COURT” OF AFRO-AMERICANS PHD’S (MOST OF THEM MALES, I AM SURE, THAT SOON AFRO-AMERICAN WOMEN AND ALL OTHER SEXUAL DESIGNATIONS AND ETC PHD’S WILL FOLLOW SUIT.) THAT IN EVERY PLACE HE SPEAKS AND AT EVERY THEME HE CHOOSES TO DISCUSS AND/OR EXPLAIN, THESE AFRO-AMERICAN PHD’S JUMP TO CLARIFY WHAT DOES DEREK MEANT OR DID NOT MEAN SAY..ACCORDING TO THEM BECAUSE HIS MIND IS NOT FUNCTIONING AT THE NOVEL PRIZE LEVEL!!! 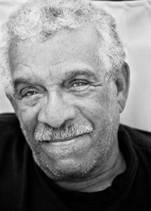 I PAID MY HARD INVESTED, LIMITED BUDGET “SQUEEZED” $10.00 TO “EVENTBRITE” TO LISTEN DEREK WALCOTT AS OLD AS HE BRILLIANTLY EXISTS AT THE PRESENT TIME!!! GIVE THE OLD MAN A BREAK!!! THE REST OF YOU, THANK-YOU VERY, VERY MUCH!!! !, BUT GO WORK ON YOUR NEXT THESES OR GO TO LEARN CHINESE, ARABIC OR RUSSIAN!!! PERUCHO8 A VOTRE SERVICE!!! !